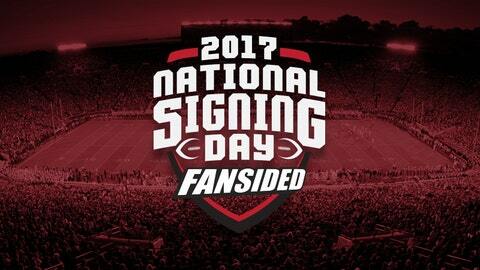 National Signing Day 2017: What Does It Mean for the Oklahoma Sooners and The Big 12? There’s no doubt the 2017 National Signing Day was an unmitigated success for Oklahoma. According to all of the major college recruiting services, the Sooners brought in a top-10 class that is stocked with blue chippers. This infusion of talent, perhaps the best in Bob Stoops’ 18 seasons at Oklahoma, can’t do anything but help Oklahoma achieve its lofty 2017 goals. 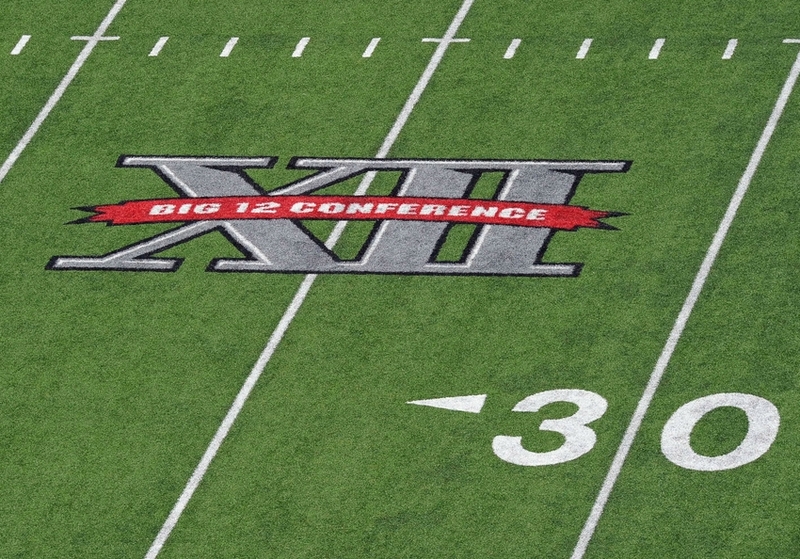 But, outside of Oklahoma, the Big 12 didn’t have a good day on February 1. Which begs the question, is the Big 12’s dimming reputation with recruits hurting the Sooners? Could Oklahoma’s class have been even better in another conference? Of course it is difficult to properly evaluate and project what kind of a college career a recruit is going to have until they’ve shown what they can do on the field and over an extended period of time, but based on what the various rating services are telling us, Oklahoma’s talent haul for the incoming 2017 class is far superior to everyone else in the Big 12. And that’s not a particularly good prognosis for the immediate future for the Sooners’ conference opponents. The results are stark: When looking at 2017 recruiting rankings on a conference-wide basis, the Big 12 is either dead last or close to the bottom among the other major basketball conferences. According to Rivals.com, Oklahoma’s seventh ranked class is followed by Texas, which comes in at 31st nationally, making 2017 one the worst Longhorn classes in a number of years. Baylor comes in at number 34 in the Rivals.com rankings, which is frankly surprising considering the roiling turmoil in Waco. Oklahoma State and TCU are next, coming in at numbers 37 and 41 nationally. Contrast this scenario with the SEC: The conference everyone loves to hate had five schools in the Rivals.com top ten, including the No. 1 and No. 3 classes (Alabama and Georgia). The Big Ten didn’t fare too badly either, with both Ohio State and Michigan notching top-five classes. -And while the Pac-12 only had one top-ten class (USC) it was a stellar class loaded with blue- chip talent (according to Rivals.com, USC got no five-star recruits, but Stanford and UCLA had five between them). Finally, even though the ACC had just one class in this year’s top ten (Florida State), Clemson’s 22nd ranked class featured three five-star recruits out of fourteen in its relatively small class. Add in Florida State’s four five-star recruits and the ACC got seven five-star recruits in total. The Big 12 had no five star recruits in any of its 2017 incoming classes. Next: Big 12 2017 Football Recruiting – What Does It Mean for Oklahoma? Big Twelve 2017 Recruiting – What Does It Mean for the Sooners? The conference-wide recruiting bottom line for 2017 is clear: Oklahoma was by far the best of a conference that lagged behind its Power Five counterparts. If Oklahoma had not reeled in the stellar class it did, the Big 12 would have been even further behind the rest of the Power Five group. The gap between Oklahoma and the rest of the conference in 2017 recruiting rankings is unprecedented in its size, especially considering the status and brand appeal of a program such as Texas, which was a distant second. So while it’s evident the Sooners are picking up the slack for the Big 12 in recruiting and then some, is the Big 12 hurting Oklahoma’s brand? At first blush, the argument can be made that the Big Twelve’s travails haven’t hurt the Oklahoma brand all that much. After all, the Sooners landed a top-ten class and recruited blue chippers from a wide geographical area. And, Oklahoma was quite successful recruiting the Lone Star State: Out of nine Texas players, only two were ranked less than four stars by Rivals.com. Still, it’s perfectly reasonable to ask if the Big 12’s reputation hurt Oklahoma’s chances with a couple of five-star recruits who got away, Marvin Wilson and Jacob Phillips. Could the Sooners have snagged these guys if Oklahoma football resided in another conference? The fact that both of these guys are defensive players lends credence to the fact that the Big 12’s bad reputation for sub-par defensive football might have swayed them to take their talents elsewhere. It’s a tough question to answer without actually talking with Wilson and Phillips. At the end of the day, Oklahoma can only control its own destiny, and that is best done by developing the incoming talent and continuing to win and compete for championships. 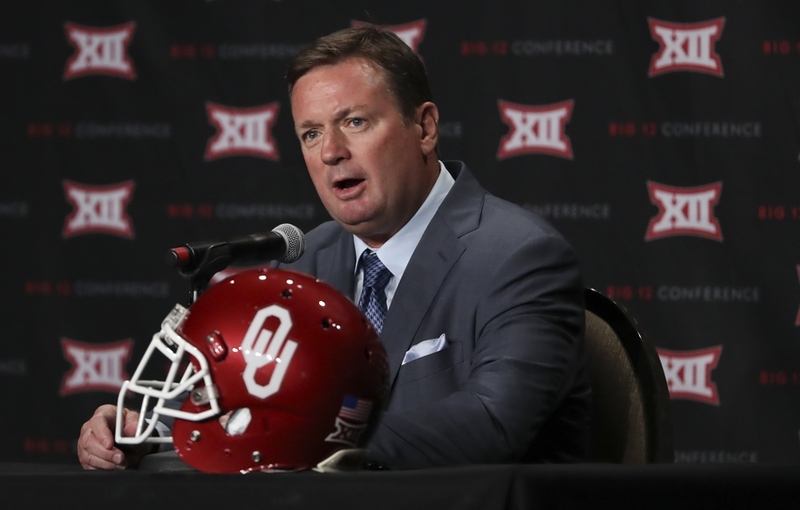 It would do wonders for the program if the Sooners could finally break through and claim Bob Stoops’ elusive second national title. At the very least, another College Football Playoff appearance and a good showing by the Sooners will go a long ways toward cementing the program among the sport’s elite programs. Win big, and the issues with the rest of the Big 12 won’t matter.